“Pretty Noise” is one of those indie rock albums that just feels right: it’s inviting, accessible while also abrasive, catchy but dissonant. Every song on this album is a great example of what makes The Twelve AM so great and so different from what else is out there right now. 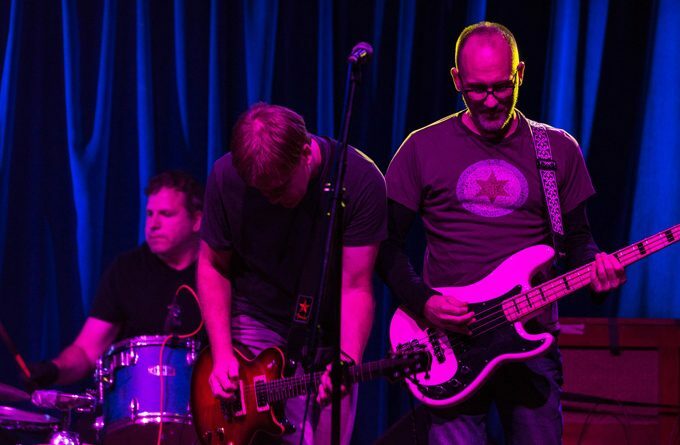 The Connecticut band, The Twelve AM, is a three piece that formed in 2018, made up of bass, drums, and guitar. They are not full of the fluff that gets featured on Top 40 radio. The album’s beauty is in its simplicity, from the chugging basslines to the angular guitars and driving drums, The Twelve AM’s explosive arrangements are a much needed break from the larger than life musicality of the current laptop generation and a catalyst for the ongoing indie rock movement. They know how to build a song that is at the same time aggressive and beautiful. Harmonious and melodic, yet raw and gritty with soaring vocals, wailing guitars and driving percussion. The gritty wide open production allows all members of the band to stand out in the mix with their respected instruments, while still crafting a cohesive sound. Lee D’Ambrosio’s drums sound huge in the audio spectrum, blended into the sound behind Steve Michels’ groovy bass work, which in turn is always audible in the mix and always beautifully inter-playing with the rhythm guitar work. Chris Champagne’s bendy and in your face guitar is what really takes the songs over the top. Chris’ guitar playing is very noticeable and he seems to always know the perfect time to throw in lick or riff to propel any song into greatness. On this album, they are at their best in using their instruments to capture the angst and energy that alternative indie rock represents. 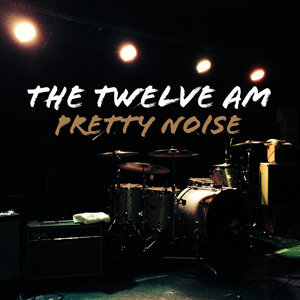 On “Pretty Noise” The Twelve AM thwart any attempts to categorize them as a loud angry alternative rock band by interspersing a few incredibly catchy melodic feel-good pop hooks into their songs. The minute you press play on the opening cut, “Punk Drunk”, you’ll realize the hype is real. This album is timeless. It’s all over the place in style and it works well. Something many bands fail to do with full albums. It’s quick and doesn’t demands multiple listens to get into. It rocks. It jams. It pops. And it especially does so on the rampant balls to the wall sound on “Run With The Bulls”, “Almost Gone”, “Heart Beats” and “New Girl”. In between there is the crunchy and dynamic standouts of “Elope”, “Lipstick Red” and “My Autumn”. But the surprises come by way of the melodic and acoustic bliss on “Guitar Boys”, and the diamond clean guitars on “Empty”. In short, The Twelve AM represent everything that is appealing about alternative and indie rock. They are a band that is different because they want to be. “Pretty Noise” is as good an argument as there is for simplicity in making great music. The Twelve AM never get into over complex structures or timing, they just make good rock music with guitars, bass, drums and interesting vocals. They cut out all the surplus fat and get straight to the essence of creating a stunning, no-compromise sound. What more could you want in a rock album, I can’t think of anything?